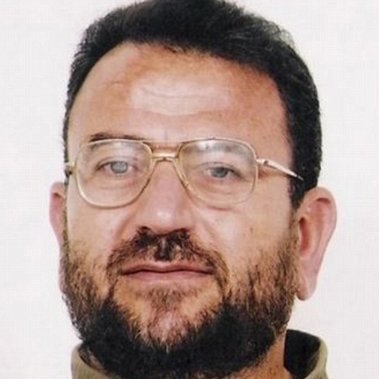 Saleh al-Arouri, Hamas leader based in Istanbul. Arouri recently plotted at least two very ambitious but foiled operations: an August effort to topple the Palestinian Authority in the West Bank and this past week multiple operations against "Israeli destinations in the West Bank, … an attack on Teddy Stadium in Jerusalem, and an attack on the light rail train in the capital." Defense Minister Moshe Ya'alon warned of Turkey's close ties with Hamas during his last visit to the U.S., in a meeting with [then-]U.S. Defense Secretary Chuck Hagel. Dec. 1, 2014 update: Shlomi Eldar looks at "Turkey's Hamas Bureau." Dec. 8, 2014 update: Jonathan Schanzer focuses on Imad al-Alami in "Hamas's Main Man From Turkey to Tehran." Dec. 11, 2014 update: The Meir Amit Intelligence and Terrorism Information Center provides important new information on this topic at "Senior Hamas Operatives Based in Turkey Continue Directing Terrorist Networks in Judea and Samaria."